Professional and personalized planning for all of our clients. We are a small team of destination experts focusing solely on European travel. 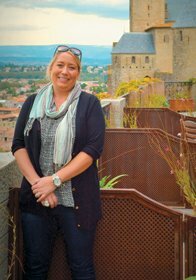 All of our specialists have first hand travel experience in Europe, allowing us to provide you personal experiences, knowledge and a passion for European travel that you won't find anywhere else. To receive a complete package outline and quote, please submit the form below. When are Your Ideal Travel Dates? How Many Nights Do You Plan to Travel? Full of lively and eclectic urban areas, including some of the world’s most spectacular cities, as well as stately mountains and rich green countryside, Switzerland – as cliché as it may sound – truly has a little of everything, making it suitable for all sorts of travelers seeking a variety of experiences, especially those who are used to enjoying the best-of-the-best. The City of a Thousand Spires has seen it all. Centuries of Bohemian kings, classical composers, invading Nazis, Soviet tanks and Velvet Revolutionaries have passed over Prague's cobblestones, and the spires survived it all, creating one of Europe's most romantic and beautiful skylines. Stroll the Charles Bridge at dusk or row a boat down the Vltava River to discover what makes this Baroque jewel so alluring.